Committed to providing the highest level of advocacy possible from our law office in Rockville, Maryland, the attorneys at RaquinMercer LLC provide unmatched defense representation to those facing any type of felony or misdemeanor charge. Serving clients throughout Montgomery County, Washington, D.C., and the surrounding areas, our law firm's seasoned trial attorneys possess decades of combined legal experience fighting on behalf of the rights and liberties of the accused in both state and federal courts across our region. Moreover, we also maintain a successful appeal and post-conviction practice, so we can help you challenge a previous ruling regarding your case to increase your chances of obtaining the justice you deserve. In addition to effective defense counsel, our law firm offers invaluable DNA/forensic science consulting services, where we assist our clients as well as other attorneys with identifying any problem areas and devising comprehensive strategies and solutions regarding your case's DNA and forensic evidence. Nationally recognized for our in-depth legal knowledge and exceptional legal abilities, we have earned numerous awards and honors, and our law firm has earned many positive reviews and referrals from satisfied clients as well. 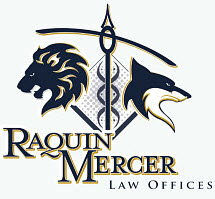 For a free consultation regarding your serious criminal matter, you can contact RaquinMercer LLC by calling our law office or visiting our website to schedule an appointment to speak with one of our dedicated attorneys.